Peninsula Hotels welcome travel trade types to the Luckee Restaurant in downtown Toronto recently to celebrate the Year of the Dog. 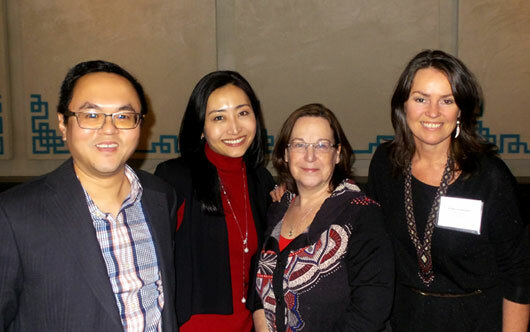 On hand for the event (l-r) are Harold Ho, vice-president, supplier relations and product for Royal Scenic Holidays; Eri Sugimoto, assistant director of sales for The Peninsula Tokyo; Susan Vandendam, personal travel advisor, Away by TTI Travel; and Susan Foster, personal travel advisor, Away by TTI Travel. ‹ Celebrating Year of the Dog!